Really hoping a few of you managed to brave the price bump this week and treat yourselves to a bottle (or two if you were feeling plush) of English bubbles. Amazingly enough we did manage to toast the sunshine this weekend, with the odd ray here and there on the Saturday and a full on factor 40 day for me on the Sunday. Lovely it was too! 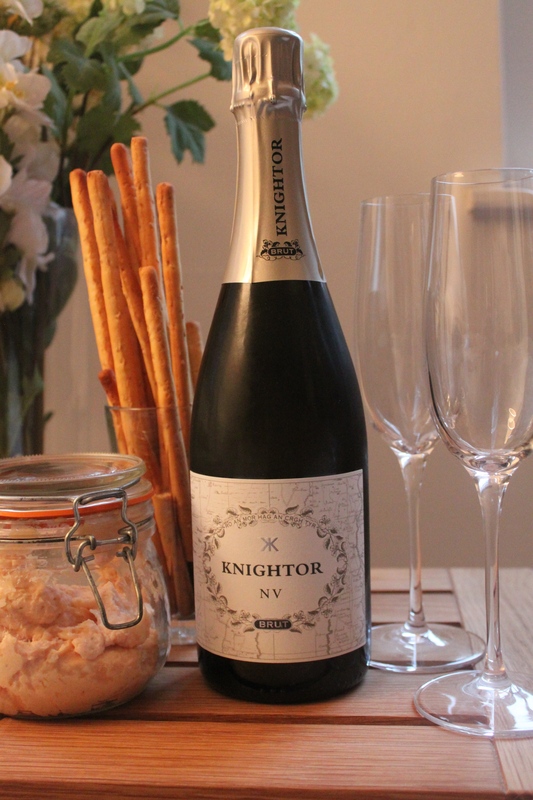 I had my sister and her fella over on the Saturday night to have a go at the Knightor NV from Spirited Wines. This winery is based down in Cornwall and the wine, unsurprisingly is packed full of what are called “cool climate grapes”. That just means they grow well in cool climates. Simple enough, eh? The Champagne region regulars of Pinot Noir and Chardonnay, but also a few others in the mix to make sure enough grapes will be ripe enough to make the wine each year. We tried it first without any food, and it was terrific. It looks light and crisp, it smells light and crisp, and guess what? It tastes light and crisp. Lemon and lime citrus, green apple fruit, and almost burnt toast yeasty flavours. It was the perfect starter to any night. Refreshingly acidic on the finish, with the citrus flavours lasting for quite a while afterwards. I’m glad we had starter-esque foods with it, cos I reckon this is about the point of the evening you want to be drinking this stuff. The smoked salmon paté and breadsticks paired great with the citrus and yeasty flavours, as did the sea bass nuggets we did too. I wouldn’t necessarily go for sea bass again. The farmed ones are a bit small and fiddly to make into nuggets. 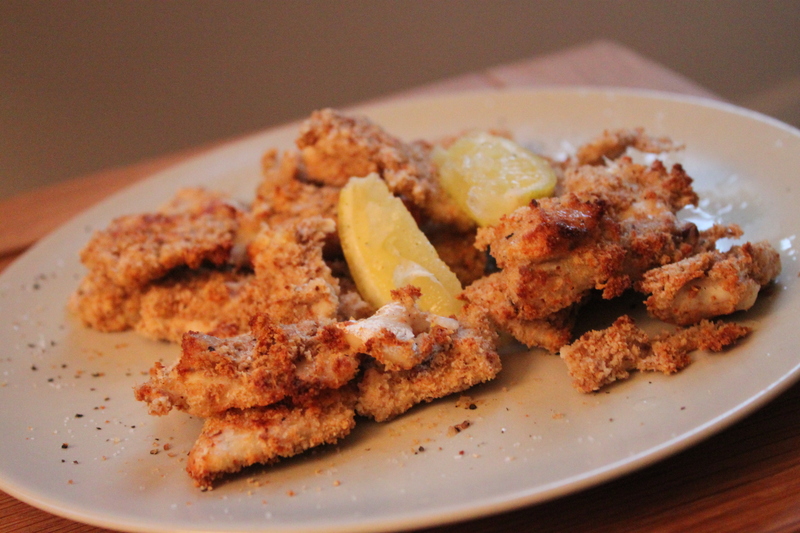 Bigger white fish like Pollock or Coley is probably the way forward. The wine with the food acted as a palate cleanser. It let you enjoy the food and then by the end of the finish you were ready for the next bite of anything. Think about the effect lemon sorbet has. It’s that kind of thing. But it’s wine, and very drinkable. Loved it with food, loved it without food. Was thinking of giving it 9 this week, but at nearly £30 a bottle it’s probably an 8/10. That’s still a great score! 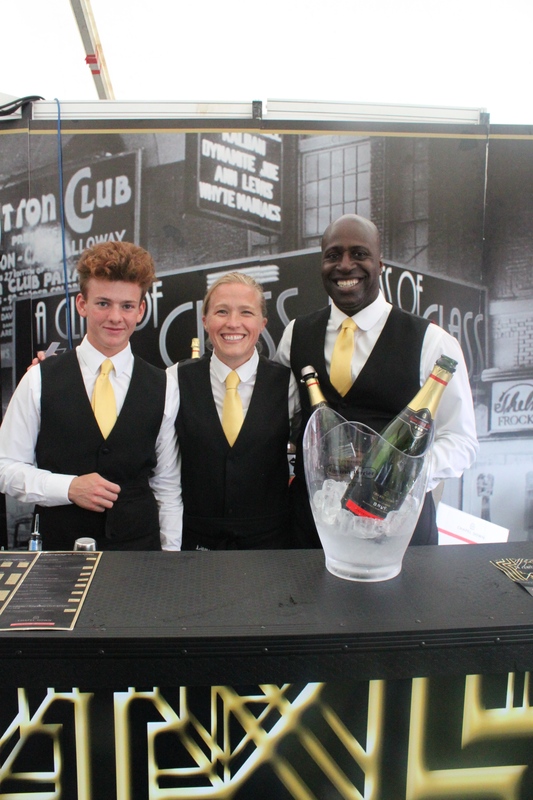 On the Sunday we were at the Kenwood House Foodies Festival and came across a company out of Essex called A Glass of Class. A 1920s themed sparkling wine bar. Really good fun. We grabbed a bottle of Chapel Down NV Brut there, and enjoyed the slightly creamier, fuller bodied feel to it. It’s great, but it’s trying too hard to mirror the Champagne style for me. Still very refreshing and very well made. A good 7/10. Anyone out there get stuck in? Feel free to leave comments and let me know how it went! That sounds really great for warm summer evenings! It does indeed! Just got to wait for the warm bit now…. Gutted I missed this one as I am very fond of an English sparkler! It was a great week! Not cheap, but great!